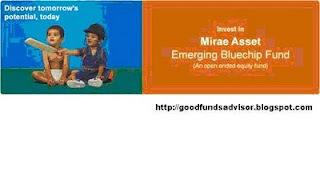 Let us today analyze the investment rationale behind the Mirae Asset Emerging Bluechip Fund from the Mirae Asset Mutual Fund. The fund is primarily a mid-cap fund that invests in Indian equities and equity-related securities of companies that are not a part of the top 100 stocks by market capitalisation, but have a market cap of at least Rs 100 crore at the time of investment. The NFO is open for subscription and will close on 22 June. 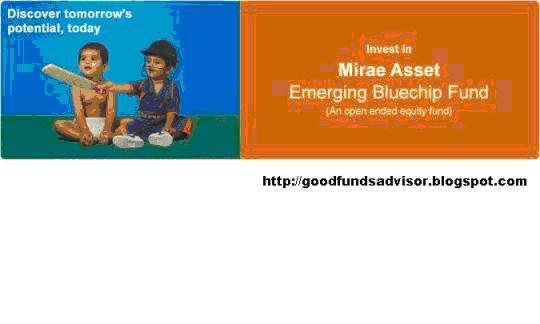 The Fund House has positioned Mirae Asset Emerging Bluechip Fund as primarily a Mid-cap fund which gives investors the opportunity to participate in the growth story of today's relatively medium sized but emerging companies which have the potential to be well-established tomorrow. The Fund will be managed by Gopal Agarwal and Neelesh Surana. As a Fund House, Mirae has done wonders with its only Domestic Fund offering, Mirae Asset India Opportunities fund which has beaten its Benchmark by a huge margin of 12.6% giving a return of 21.46% compared to 8.86% of BSE 200 since its inception. The fund manager, Gopal Agarwal, intends to stay fully invested at all times. Gopal explains: “Over the past few years, we have seen that while mid-caps may be more volatile they tend to outperform the broader indices. In this context, a return of about 4-5% higher than broader indices and at around 20% is possible". Very aggressive indication that. Though the Fund may look similar to Mirae Asset India Opportunities Fund, this Fund is different in the sense, this Fund is more biased towards mid-caps where India Opportunities Fund has a equal weight towards Mid-caps, Small Caps and Large caps. The Fund does not try to hide its Mid-cap bias and is very clear about where it will invest its money. There are innumerable mid-cap funds available in the market, so why should you consider Mirae Asset Emerging Bluechip Fund. However, two things are in the favour of those who are inclined towards investing in this Fund. One, Mirae Asset's only other Domestic fund offering, Mirae Asset India Opportunities Fund has been very very impressive in its performance both during the Bear and Bull periods and thus offers comfort. Two, Fund Manager Gopal Agarwal. He has been outstanding without being publicity crazy. He does his job quietly and does very well. He had a terrific run in SBI Contra and has been very consistent with Mirae Asset India Opportunities Fund. He has proved his stock picking skills, which is the pillar on which mid-cap funds stand on. Investors who are willing to ride the volatility associated with mid-caps can consider taking a exposure to the fund. Preferably go for SIP investment. And, of course, those investing would do well to have a time horizon of at least 3 years. Investors also would do well to have a look at some of the mid-cap funds which have been giving consistently impressive returns., like Reliance Regular Savings Fund - Equity, Birla Sunlife Mid cap Fund, Reliance Growth Fund, Sahara Mid-cap Fund, Sundaram Select Mid cap fund, Sundaram Smile fund. By the way, I would also like to add here that I had a chat with Mr.Dhirendra Kumar , CEO of Valueresearchonline during the Fund’s launch. I asked him “You are openly against NFOs, so how come you are here speaking under the Mirae Asset Emerging Bluechip Fund NFO banner”?. He laughed and explained, “I am not here to promote the Fund. But, yes, looking the Fund House’s flagship Mirae Asset India Opportunities Fund’s impressive performance, aggressive investors can look at this fund, if it fits into their risk profile”. My view is the same. If you are not risk averse and would not mind short term volatility, the Fund can be a good addition to your portfolio if your overall asset allocation allows. Do not forget, SIP should be the route to invest in this Fund. Performance wise this fund looks good to invest for ling term through SIP.